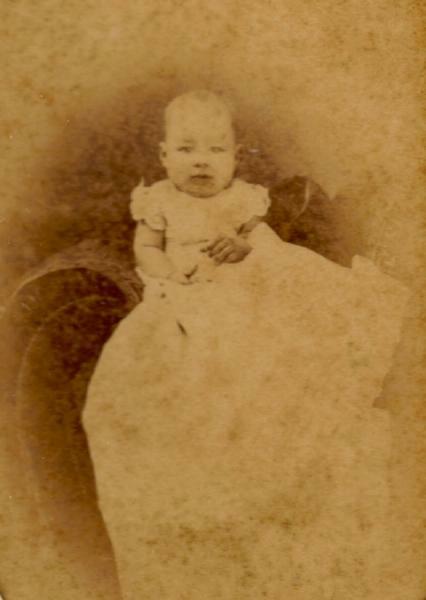 Mary McEachin Powell was born on 7 July 1882 in Rosamond, Christian County, Illinois. William Wood Powell and Sarah Malloy McEachin appeared in the US federal census of 1 June 1900 in St. Louis, Missouri, at 6926 Bradley Avenue. Other members of the household included Mary McEachin Powell, Evelyn Elizabeth Powell, Virginia Lee Powell, Mildred Falconer Powell, George Powell and William Wood Powell Jr.
Mary McEachin Powell appeared in the '1906 & 1907 St. Louis, Missouri, City Directory at 3818 Delmar Boulevard employed as an assistant in the Public Library..
Mary McEachin Powell appeared in the 1907 St. Louis, Missouri, City Directory at 3949 Washington Boulevard employed as an assistant in the Public Library..
William Wood Powell and Sarah Malloy McEachin appeared in the US federal census of 15 April 1910 in St. Louis, Missouri, at 3949 Washington Boulevard. Other members of the household included Mary McEachin Powell, Evelyn Elizabeth Powell, Mildred Falconer Powell and George Powell. She was employed as an assistant in a public library, according to the 1910 census. The following appeared on 6 January 1956 in The Oregonian: George Powell, 66, widely known in Northwest shipping circles, died Wednesday at Good Samaritan hospital. He was founder of the Oregon Pacific Steamship company and builder of the Oceanic terminals, which later became the Powell Shipping company, of which he was president. For many years he was vice consul here for The Netherlands. Queen Juliana knighted him with the Order of the Orange Nassau. Mr. Powell was born July 5, 1889, in Pana, Ill., coming to Portland in 1917. He was a major in the transportation department of the army air corps in World War I. During the war he was assistant Pacific coast director of the war shipping administration. He was a life member of Columbia lodge No. 114, AF&AM, St. Marks Episcopal Church and was a board member of Good Samaritan hopsital for many years. Two Daughters, Son Survive. His wife, Eleanor McClaine Powell, died in 1953. Mr. Powell lived at 1831 S. W. Park avenue. Surviving are two daughters, Mrs. Sallie P. Kelly, Salme, and Mrs. Evelyn P. Henwood, Portland; son, George Fielding Powell, Portland; three sisters, Evelyn and Mary Powell, St. Louis, Mo., and Mrs. S. H. Mills, Denver; brother, William, St. Louis, and six grandchildren. Services will be Saturday at 9 a. m. at St. Marks Episcopal church. The body will lie in state before then at J. P. Finley & Son. Private commitment will be at Portland Memorial. The family has requested that in lieu of flowers, contributions be made to the Damon Runyon cancer fund. Mary McEachin Powell died on 20 April 1962 at age 79 in St. Louis, Missouri.